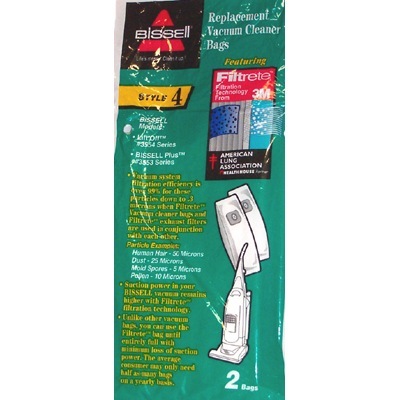 The Style 4 bags by Bissell are essential to keeping your Bissell upright vacuum in working order, specifically the PowerGlide and PowerForce models. These bags remove 99% of microns for a deep clean of your home every time. No more asthma and allergies!